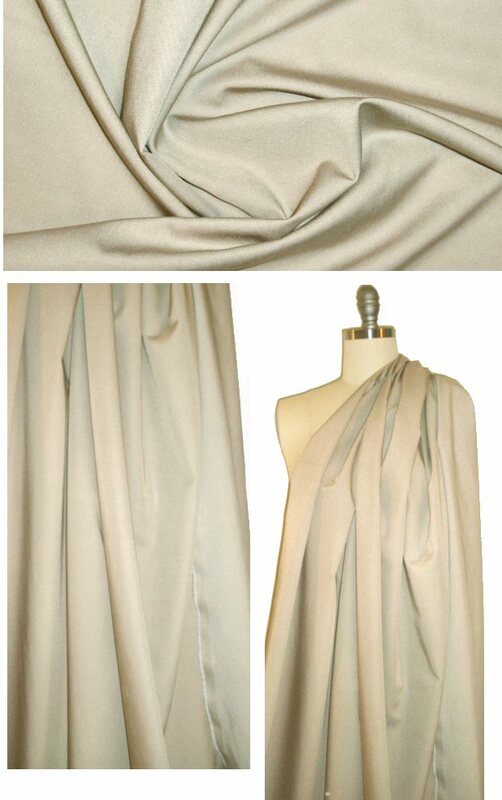 This is a wonderful rayon blend denim with about 10% widthwise stretch, in a khaki/sand color (PANTONE 12-0605). It is a lightweight and more drapey denim -- a weight so versatile that it can work for summer pants, short, capris, work shirt, dress, skirt, jacket, etc. Hand or machine wash in cold water, hang to dry.